Photo: Banks with a black sturgeon caviar. Russia's other black gold rebounds after years of declining production. 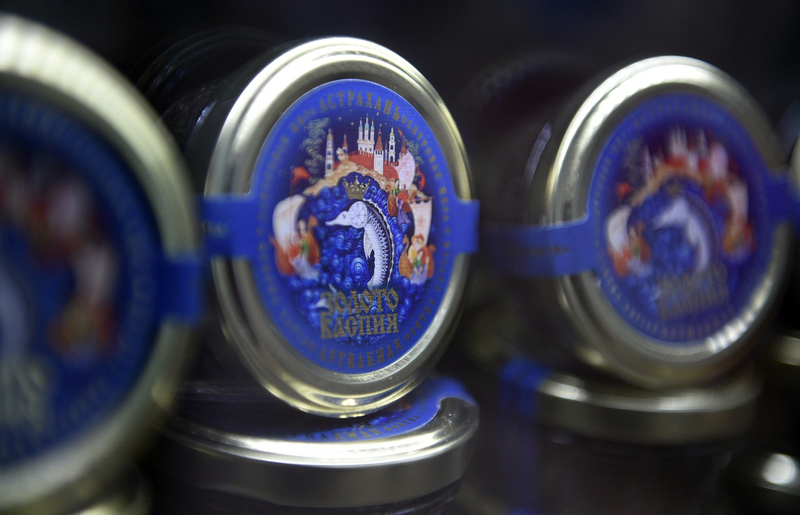 The head of Rosribolovstvo, Ilya Shestakov, said that in 2030, the production of black caviar might double in size, although this won't impact prices, RNS reported. He added that black caviar's price cannot go lower because the possibility of obtaining eggs from the sturgeon only increases in its seventh to eighth year, and during this time the fish needs care. He also emphasized that lower prices might occur, not as a result of increased production volumes, but due to the introduction of new technologies that will help reduce the period for obtaining caviar. In 2016, black caviar production grew 3.5 percent to 44 tons, according to Rosribolovstvo. In the years from 2008 to 2011, Russia suspended wild black caviar production in order to let sturgeon stocks replenish.